Leveraging the best staffing resources available we provide our clients with the tools to build the strongest supplier program available. We utilize the highest quality systems to provide seamless transitions and industry leading support to ensure our clients’ success. Your top notch candidates get placed at some of the most successful companies in the world. We are experts at supplier management with experienced leaders and proven reporting and performance tracking tools to optimize your staffing supply chain. We work hard to build strong managed service partnerships that provide an opportunity for quality staffing partners to succeed. Our programs are focused on consistent success and growth, and not every vendor is right for every program. Yoh’s Supplier Relations Team utilizes both pre-screening alignment questionnaires and metrics to assist in aligning vendors with the correct program. Your best candidates being placed in front of the largest companies’ decision makers! Managed Service Tools – Yoh utilizes the best VMS tools for effective and efficient programs. Vendor Metrics and Feedback – Yoh’s quarterly metrics provide valuable feedback and opportunity for improvement within the program. Our industry leading tools, screen and search for only the best vendors possible to work with. We utilize quarterly metrics to review supplier performance based on service levels with your needs in mind. Our standards constantly hold vendors accountable to keep your program running and growing efficiently. Our vendor programs are serving some of the largest, most successful companies in the world with great success. And we can create the same successful program from you. NEED ANSWERS ON HOW TO BETTER MANAGE YOUR SUPPLIERS? Yoh’s Supplier Relations team is committed to providing clients with the best suppliers that meet their needs. Our state of the art VMS tools set the standard for efficiency and effectiveness, and streamline all aspects of the program - from posting a new job through final invoicing. Yoh’s supplier metrics give consistent feedback to both the client and the supplier providing the best opportunity for constant growth and improvement. 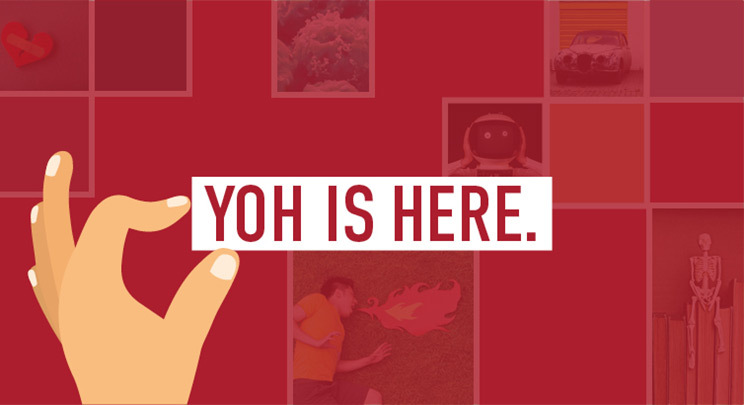 Yoh is committed to ensuring that every supplier is meeting all of the necessary standards. We utilizes supplier audits to review supplier compliance and make certain that each supplier is meeting all contractual guidelines. Yoh understands diversity within your suppliers is an obstacle that most companies are faced with. Our ability to focus on supplier diversity in a challenging supplier landscape will turn your diversity woes into diversity wins.